Happy First Day of Summer! Summer is my favorite season, and I don't care how hot it gets. I love the bright colors, the ice cold drinks, the lazy days, wearing shorts and flip-flops, and the wonderful memories it brings. 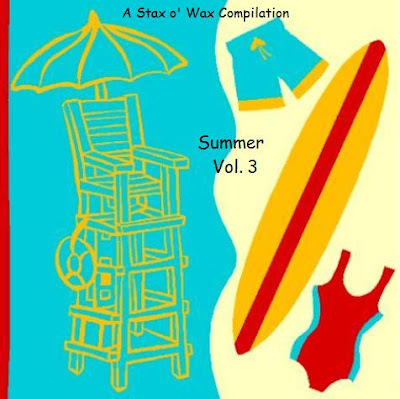 So, in celebration of the First Day of Summer, I offer you my annual summer songs compilation - a compilation of songs that all have the word "summer" in the title. So, grab a cold drink and celebrate summer! If you haven't downloaded the first two volumes of my Summer compilations, click on the "summer" label to take you directly to those posts. Happy Summer! This is another of the records I bought when I began ballroom dancing. I know I bought it because it was the Fred Astaire Dance Studio Orchestra, and the first studio I danced at was a Fred Astaire Dance Studio here in Dallas! 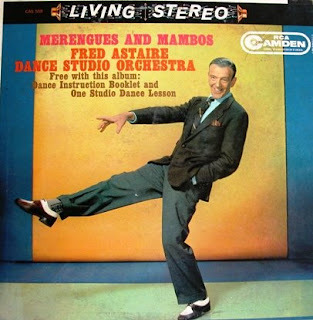 Unfortunately, there aren't any more Fred Astaire Dance Studios in Dallas - they all closed (although I think there are some in the Houston area). Anyway, I especially liked the latin dances, and mambo is my very favorite. I bought this at my favorite place (Half-Price Books), and the free dance instruction booklet was long gone. Oh, well. Anyway, if you like to mambo or merengue, then you need this album! This is one of the early additions to my record collection. Before 1987, the records I bought were the rock, soft rock, and pop that was popular at the time. Sure, I had grown up listening to my mom's big band and easy listening records, but I certainly didn't buy that kind of music. Until 1987, that is. In 1987, I accidentally discovered a local radio station that played "big bands and great singers". At first, I was angry that someone had messed with my radio at work, but as I heard the songs, I realized how cool it was. Then I entered a radio contest and won some free ballroom dance lessons. The world of music just opened up to me and I started working on my current record collection. (Needless to say, my mother was very happy that I now liked "real" music - like the kind she liked.) So, my early purchases were mostly big band or the kind of music that we danced to at the dance studio. 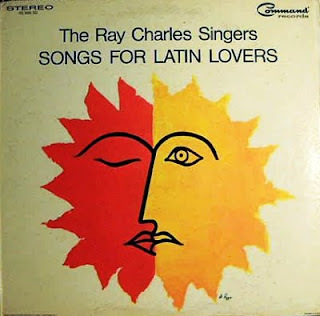 The latin dances became my forte, so I started buying a lot of records of latin dance music. 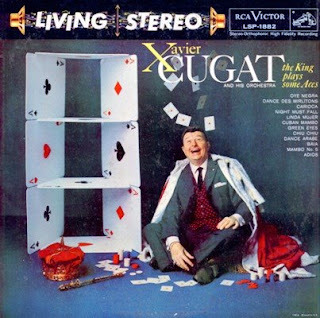 Of course, I had to buy some Xavier Cugat records! Again, before this the only thing I knew about Xavier Cugat was that Charo was married to him, because she would often comment about him, and that he was much older than she was. Oh, and something about him carrying around a little Chihuahua dog. When I finally bought one of his records (at HPB, of course! ), it was this one, and I was hooked. I do love me some Cugat! Yet another gem I rescued from the HPB bargain bin - and what a gem it is! This is an absolutely awesome record. 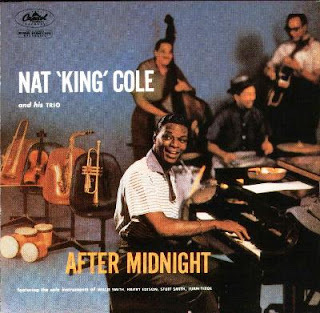 I mean, how can you go wrong with Nat King Cole? And I really liked it when he performed with the Trio. Superb. I think I've said it all. If you don't already have this album, get it now! Here's another of the treasures I found in the HPB bargain bin, and it was the album artwork that prompted me to buy it. Of course, after listening to it, I loved it! I like this type of music - very smooth, melodic, and rhythmic. I am transported back to the mid-1960s when I listen to this - love it! This is a great album to play at your next cocktail party. And, it's the perfect album to listen to on a lazy Sunday afternoon such as today! Okay, I'm guilty. 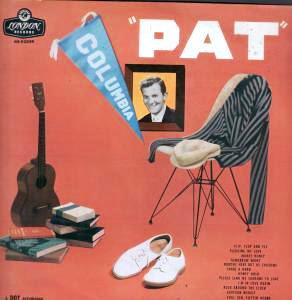 I love Pat Boone records. I love his smooth voice - and his white shoes! I think I first heard of Pat Boone when I was a little girl and he and his family did a TV commercial for juice or milk or something (I don't remember what exactly - I didn't really pay attention). But when I first really saw and heard Pat Boone, it was on a late night movie called "Bernadine" (even as a kid, I was hooked on "old" movies). I immediately liked him - his clean-cut looks and his singing (this was way before I became a punk rocker). Of course, Pat Boone was the last thing on my mind as I entered my teenage years, and I definitely thought he was a major "square". But then as a young adult when I bought my first Sony Walkman, I got a free cassette (courtesy of Reader's Digest) that had various artists on it. One of those artists was Pat Boone and the song was "Friendly Persuasion". I liked Pat again. And as time has gone by, I've liked his records more and more. And I really like this record - it's pretty rockin'!